Anstey, T.H.. "William Saunders". The Canadian Encyclopedia, 24 May 2018, Historica Canada. https://www.thecanadianencyclopedia.ca/en/article/william-saunders. Accessed 20 April 2019. William Saunders, druggist, naturalist, agriculturalist (b at Crediton, Eng 16 June 1836; d at London, Ont 13 Sept 1914). Saunders established the Experimental Farms Service (now Research Branch) of the federal Dept of AGRICULTURE. William Saunders, druggist, agriculturalist (b at Crediton, Eng 16 June 1836; d at London, Ont 13 Sept 1914). Saunders established the Experimental Farms Service (now Research Branch) of the federal Dept of AGRICULTURE. He moved with his family from England to Canada in 1848 and apprenticed as a druggist, opening his own store in 1855. His concern about insects attacking pharmaceutical plants led him to help found the Entomological Society of Canada in 1863. An avid gardener and orchardist, he introduced many new varieties of fruit. In 1874 he was made a fellow of the American Association for the Advancement of Science; he was president of the Ontario College of Pharmacy 1879-82, as well as of the Huron and Erie Mortgage Co; in 1881 he became a fellow of the Royal Society of Canada; and in 1882 he was president of the Fruit Growers' Association of Ontario. In 1886 Parliament passed legislation establishing the Dominion Experimental Farms and Stations, partly based on Saunders's report of his 1885 investigation of US stations, and he was appointed director. He pursued his new task with vigour, personally selecting sites for each of the original 5 farms, choosing staff and continuing his interests in cereal breeding, horticulture and forestry. 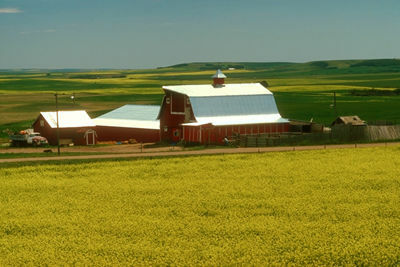 He commenced the wheat-breeding program that resulted in his son Sir Charles Edward SAUNDERS's development of MARQUIS, the variety that opened the Canadian West. He received honorary degrees from Queen's and University of Toronto; his many technical writings are in Department of Agriculture libraries.